President Theodore Roosevelt and Congressman Henry Cabot Lodge wrote a history book for children, "Hero Tales from American History." It came to be, after Roosevelt's wife encouraged Roosevelt and Lodge (good friends) to write about some of their favorite Americans and moments in history. 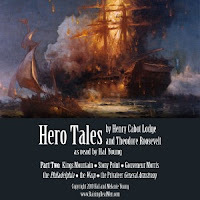 The tales are retellings of some of America's greatest heroes from the Revolutionary War to the Civil War, 26 stories in all. Hal and Melanie Young have taken this treasure and turned it into an audio-tale, complete with sound effects. The set includes 3 CDs, each an hour long. The tales are 7 to 11 minutes long and appropriate for all ages. Here is a breakdown of the included tales. I was so privileged to receive this audio set for review. I didn't even know that the book, "Hero Tales," existed. I knew several things about Theodore Roosevelt, but I didn't know that he was an author... and a children's author at that. He and Lodge shared the stories of great Americans, such as George Washington and Daniel Boone. My daughters and I listened to these stories while commuting back and forth to activities. What a great use of our time. We were able to learn about some of America's greatest heroes, to hear about hard-fought victories, to be reminded of what virtue truly is. To get an idea of the kinds of lessons to be learned from these tales, take a moment to read from the book's dedication: "Thrift, industry, obedience to law, and intellectual cultivation are essential qualities in the makeup of any successful people; but no people can be really great unless they possess also the heroic virtues which are as needful in time of peace as in time of war, and as important in civil as in military life. As a civilized people we desire peace, but the only peace worth having is obtained by instant readiness to fight when wronged—not by unwillingness or inability to fight at all. Intelligent foresight in preparation and known capacity to stand well in battle are the surest safeguards against war. America will cease to be a great nation whenever her young men cease to possess energy, daring, and endurance, as well as the wish and the power to fight the nation's foes." I love history, especially American history. 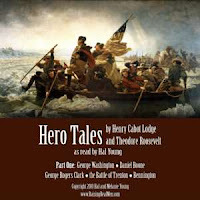 This Audio CD set is American history at its best. Way more interesting than a dry, boring textbook. 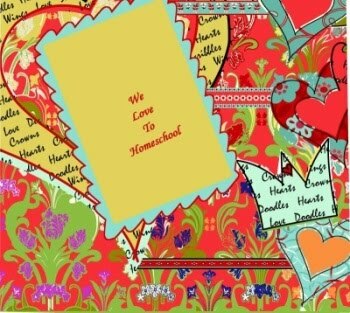 I am very thankful to be able to add this set to my homeschool collection. I hope you will consider adding it to your collection, as well. When the Three Little Pigs roll into Cabbageville looking to build some new houses, they meet one builder with a plan and two without a clue! Larry builds with hay, Mr. Lunt with bricks, but only Bob builds his houses on a firm foundation - following the wise plans from the Master Builder's Handbook! Will the Little Piggies make the right choices when it comes to building their houses - and their lives - on solid ground? 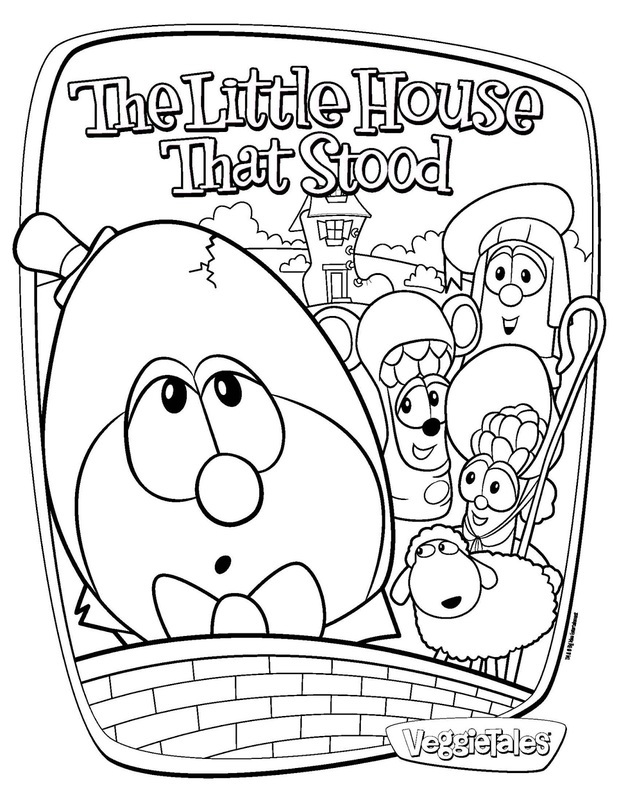 Find out in this parable that shows kids when they follow God's blueprints, they can stand strong when the storms come! I have loved VeggieTales for years. And so have my children. The characters are cute. The songs are catchy. The stories are interesting. And the lessons are invaluable. So when I was offered a chance to review the newest VeggieTales movie, I jumped at the chance. And as always, it didn't disappoint. 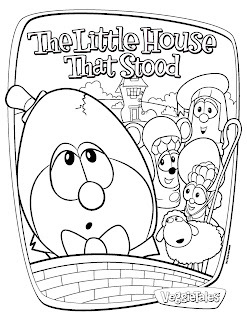 "The 3 Little Pigs" meets "The Man Who Built His House Upon the Rock" in the latest tale. And children will learn that only houses built upon the strong foundation will stand firm in the times of trials and storms. So build your lives upon the True Rock, the Word of God. One lucky reader will receive a copy of this great DVD, courtesy of FlyBy Promotions. Just leave a comment on or before March 15, 2013. I will choose one name at random.